Hi guys! Hope you all had a great weekend! I had a fun family-filled weekend. Michael and I, along with both my sisters, brother-in-law and niece and nephew went back home to my parents who live about an hour and a half away. We spent the weekend indulging in way too much food, shopping and relaxing. A much needed trip! I always feel when I go home I can become a recluse for a weekend and just enjoy family time. It’s nice to “re-charge” every once in awhile. 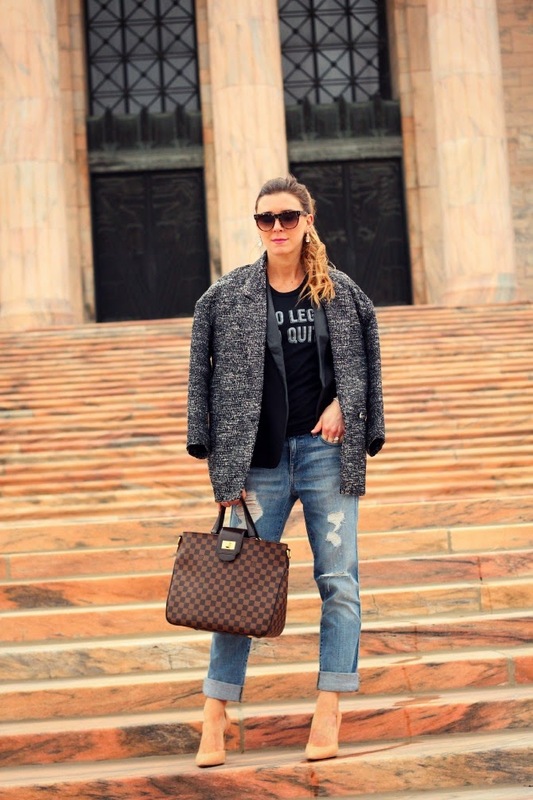 Today I am sharing a casual dressed up look. 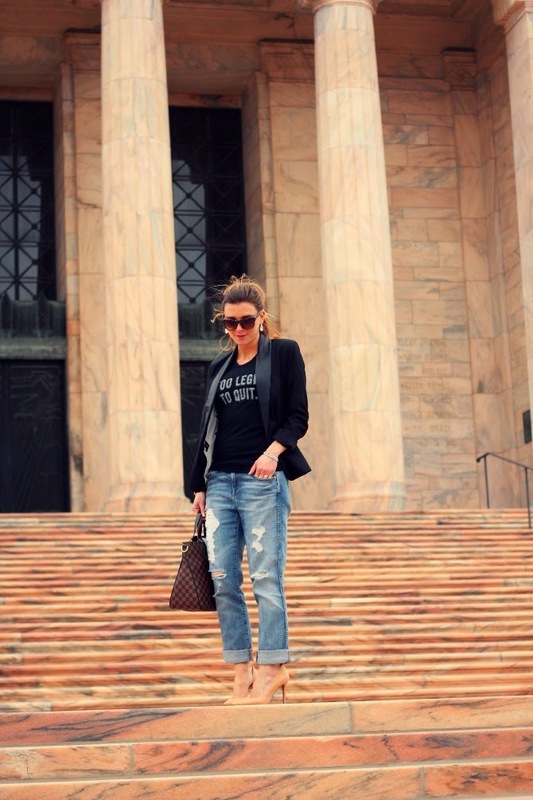 Of course wearing my favorite style of jeans…boyfriends and paired with a super cute graphic tee from Style Lately. I finished the look with my favorite new accessories: Kate Spade earrings and YSL sunglasses…both that I found at Nordstrom Rack for a smoking deal! 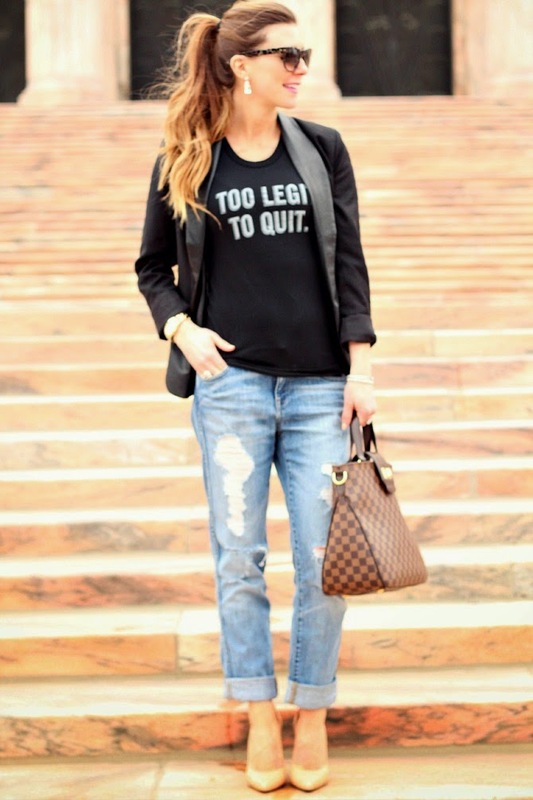 Love the saying on that tee, you look great! Becky, you are just the cutest!! I love that little bump starting to pop out!! Seriously, the best styled mama to be out there!! Gorgeous location for a photoshoot! Seriously one of my favorite places in Omaha. Wish we could make it there more often! So chic, and classy. You are so beautiful!! 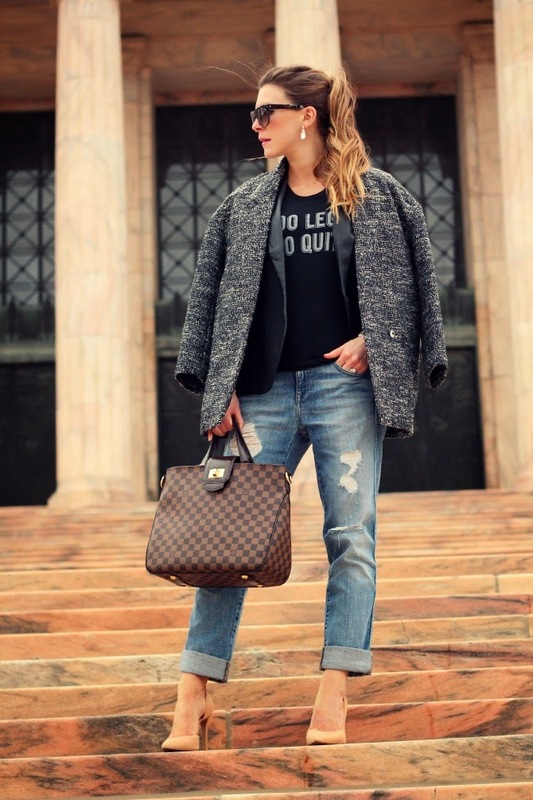 I love the grungy casual look of this, but it is so chic! Beautiful! It sounds like you had a nice trip! I love that top!!! 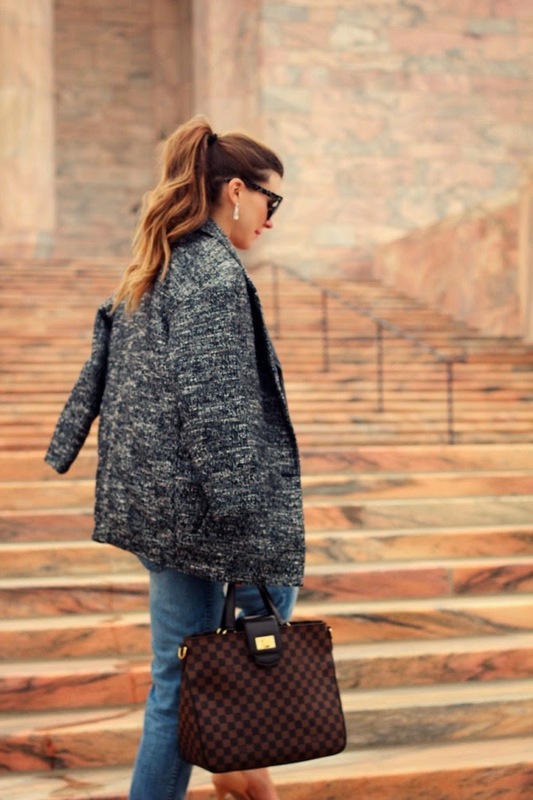 Love the faux leather detail on the blazer. A great outfit!